We exist to tackle the linked problems of educational underachievement and social exclusion for young people from deprived communities. 6 in every 10 young people from low income backgrounds (eligible for free school meals) leave school without the minimum of 5 GCSES A* to C including English and Maths. Students from low income backgrounds are 4 times more likely to be excluded from school than the rest of the student population. 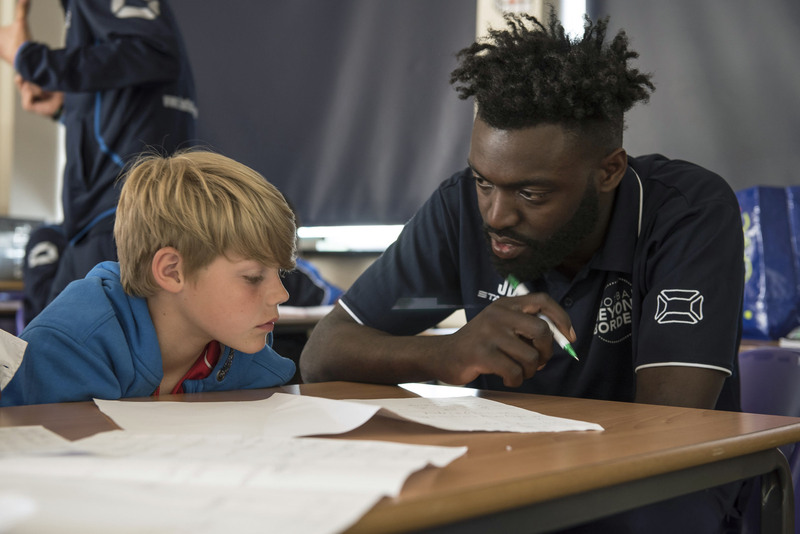 As an education charity we use the promise of football not simply as an incentive to study, but as the tool through which all learning takes place. Each weekly session of our 38 week programme is divided 50/50 between pitch based learning and classroom based learning. All learning in the classroom takes place through our football-themed literacy curriculum. Each half-term contains a different project theme (often in collaboration with our corporate partners) – football commentary, Messi vs. Ronaldo – which is designed to provide students with engaging tasks focused on developing their non-fiction, persuasive and creative writing skills, their oracy and their reading comprehension.